Hello, relaxation! 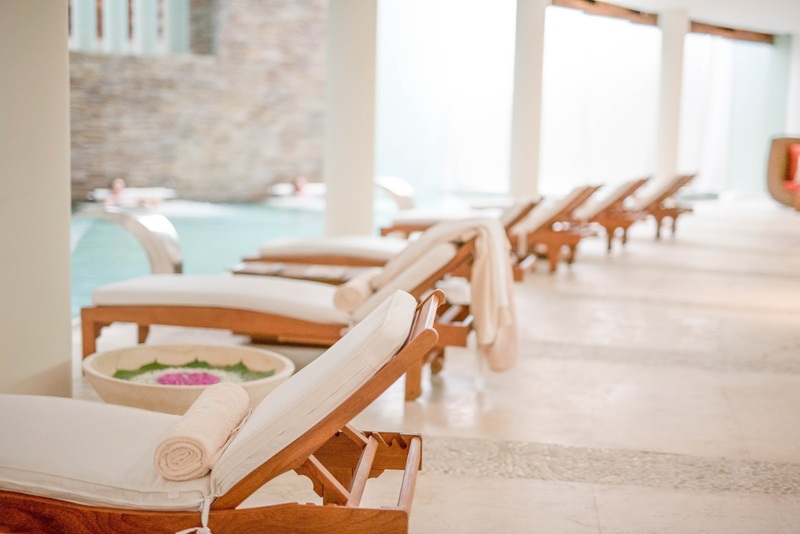 It's not a vacation in my book, without a trip to the spa. 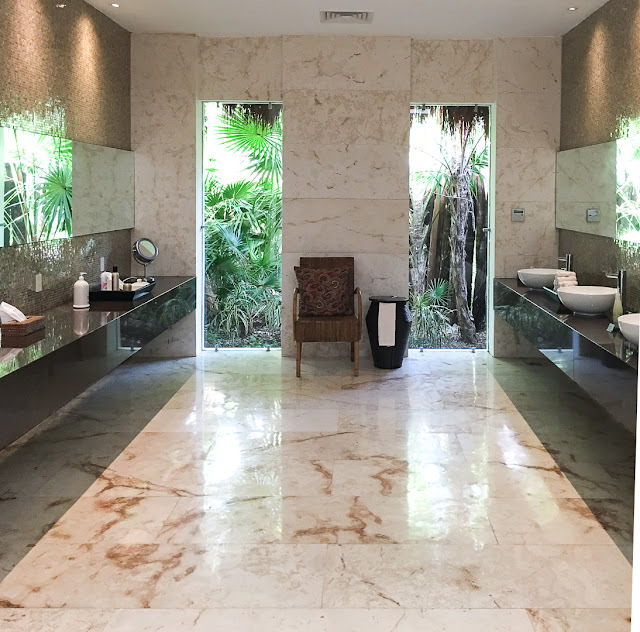 I recently visited Grand Velas Riviera Maya in Mexico with a group of blogger friends, and part of our stay included a hydrotherapy session at the resorts spa! I love going to the spa. Fun fact, I actually never experienced a spa until I met Shane! Crazy, I know. But since then, I visit the spa on every vacation we take and we make the occasional trip at home, too. With that being said, I think it's extremely important to take a little time for yourself. 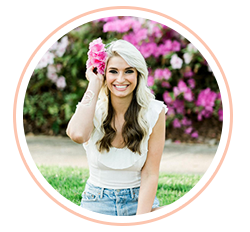 For me, going to the spa means I can finally disengage from my day job, social media, blogging, and the million little things going on in my head at one time. I think it's the only place I know how to do this at. I leave my phone in the locker, grab a mimosa (or in this case a delicious mango juice), and enter the beautiful state of tranquility. The spa at Grand Velas Riviera Maya was nothing short of amazing. Upon checking in, we were greeted with a smiling employee and a delicious glass of Mango juice (I drank four of these.) After a brief tour of the facilities, we were introduced to an eight step process known as Hydrotherapy. I've actually experienced hyroptherapy a few times, so I was familiar with the process. Prior to starting the journey, we rinsed off in their Experience Showers which were outfitted with multiple jets above and beside you. Sauna: We began our experience with a 10 minute visit to the sauna, complete with cold towels and cucumbers over the eyes! Ice Room: I'm a warm weather person, so the thought of an ice room traditionally isn't appealing to me. However, after experiencing the heat of the sauna, my body actually really appreciated the temperature change. Research shows that there are many benefits from exposure to quick temperature changes. Color Therapy Steam: The steam room is probably my favorite place to be after a spa treatment, so I really enjoyed this step in the journey. If you're anything like me and have terrible allergies, the steam room really helps relieve the discomfort associated with that. It's also amazing for your skin, and can help boost your immune system! Clay Room: This was one of the most interesting steps of the process for me, and one I had not experienced in prior hydrotherapy sessions. Upon entering the clay room, we were handed a tub of clay to rub all over our skin. After about 5 minutes, we rinsed the clay off with hand held jets and my skin felt soft and rejuvinated. Polar Pools: As mentioned above, I am such a baby when it comes to cold anything (I can thank living in Florida for that). So, I was reluctant to switch from a hot pool, to a cold pool multiple times. However, I put my big girl pants on and was actually glad I followed through with this as the benefits far outweigh the few seconds of cold! Waterfalls: After the Polar Pools, we moved right along to three waterfalls located inside of a large pool that massage your back. This actually feels really great if you have tense muscles. I personally have a ton of issues within my neck, shoulders and upper back - so sitting under these always help loosen my muscles back up. Bubble Volcano: The Bubble Volcano is also located in the large pool. This part of the process is meant to stimulate circulation in your legs, similar to what jets in a hot tub do for you. Water Bubble Bed: This is the last step in the process and these are amazing! It's a cement bed shaped to the human body complete with jets at the neck and bubbles that rise up around your body. 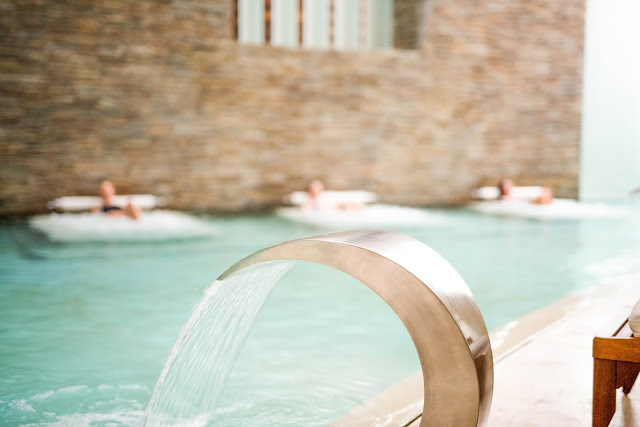 Also located in the main pool, it's a great place to relax and enjoy the serenity of the entire experience! Overall, this was such an amazing experience! I really can't rave about it enough. The employees are fantastic and extremely accomodating, the facilities are up to date and luxurious, and the experience as a whole is well worth it! 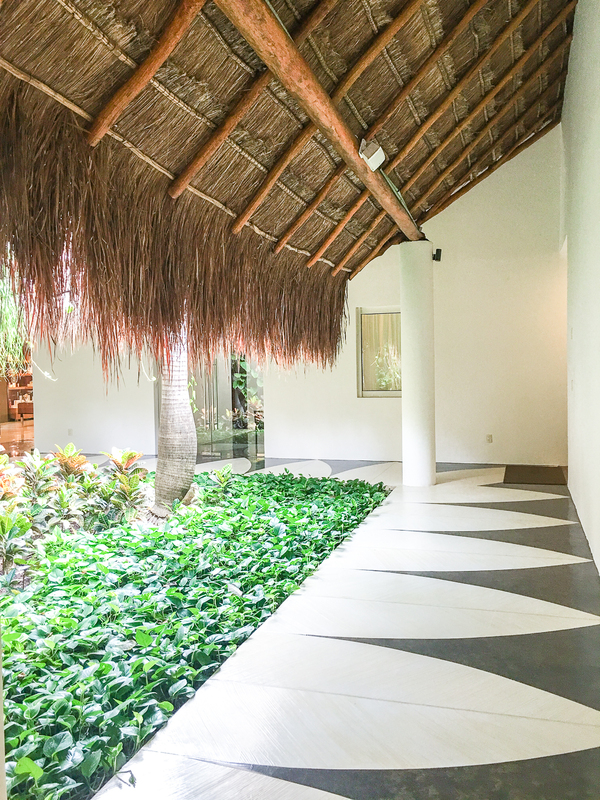 If you're planning a trip to Grand Velas Riviera Maya, mark this down on your "to-do" list. It doesn't disappoint, and it's also worth noting that this experience is included in any 50+ minute treatment. For additional information on what the spa at Grand Velas Riviera Maya has to offer, click here! Also, stay tuned for a full hotel review coming up this week! 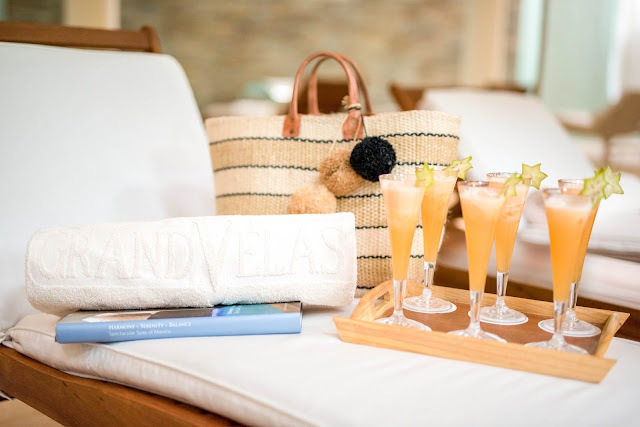 In partnership with Grand Velas Riviera Maya.